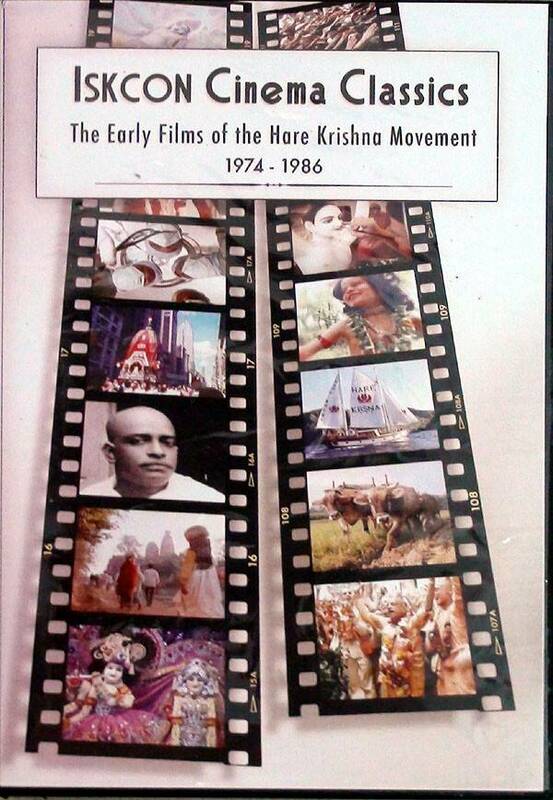 All the films produced by ISKCON Cinema on the Hare Krishna Movement. 8 Hare Krishna films on 2 DVDs. By Yadubara das and Visakha dasi. Classics like "Hare Krishna People," "Vrindavan Land of Krishna," "Your Ever Well-Wisher," "Lord Caitanya Mahaprabhu -- The Golden Avatar" Audio is available in many languages. During the 1970's when the Hare Krishna movement was spreading very fast all over the world one of the main preaching tools was the films produced by Yadubara Prabhu and his wife Visakha devi dasi. Srila Prabhupada personally encouraged Yadubara Prabhu to produce these films and enjoyed watching them personally. No preaching engagement in India would ever be complete without the screening of at least one of the ISKCON Cinema films. These ISKCON Cinema films are very professionally produced and even today are still amazingly powerful preaching tools. Now for the first time all these films have been digitally mastered to two DVDs from the original master copies of the films and you can again watch them in their original sparkling clarity.